For as long as I can remember, my mum has been obsessed with TK Maxx. She would go in practically weekly for her discounted handbag fix and almost always came out with some other gem discovered after a good rummage, so it’s unsurprising that it wasn’t long until I was hooked too. I think my first ever purchase was a half price sports tee that I wore proudly with my denim wrap-around skirt (kid of the 90’s! ); but as I grew up that was closely followed by everything from designer sunglasses and purses, to amazing homeware and even discount wedding decorations. Although I’ve been a TK Maxx shopper for years, one of the areas I never really paid much attention to was their bustling beauty section; call it ignorance, but I never realised how many amazing brands and huge discounts they have on offer until I was sent in to discover them! I’m such a big fan of well designed brushes that actually make the process easier, so this set is a must-have for me. With each of the brushes usually setting you back around £7.99 each, you essentially get three free – with a handy carry case to store them in. The secret to great nails is a fab cuticle oil; I just can’t get enough. Applied daily it can transform the state of your talons, and this is enriched with sweet almond and orange oil so smells incredible. It even comes with a pipette for an at-home spa experience. 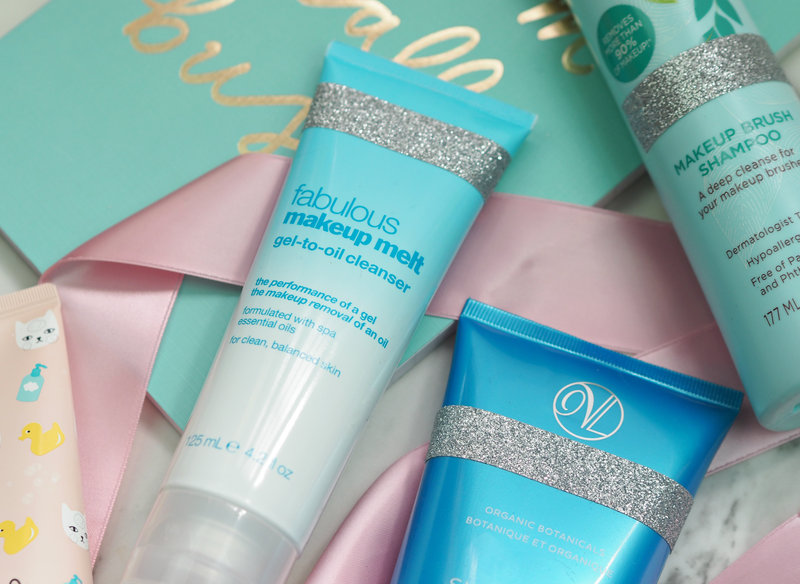 As we step into summer an exfoliator is a key part of any successful beauty regime, as we slough away dull skin to prep for tanning. This polish also includes hydrating ingredients to leave skin feeling nourished – plus you can’t argue with that discount! Everyone should have a killer cleanser in their bathroom, and this gel-to-oil formula is a great way to rid the skin of makeup and grime at the end of the day. If you’re scared of using oil cleansers, then this is a great hybrid (and a great price) that will leave your complexion squeaky clean. 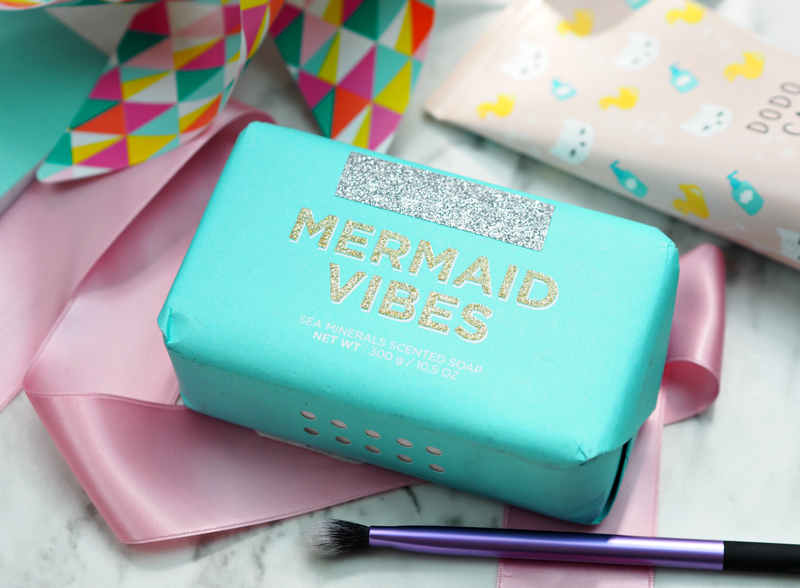 Cleansing your brushes regularly helps to remove the bacteria and dirt that can cause blemishes and irritation; it’s a step many of us often overlook, so picking up an easy-to-use cleanser will help your tools to remain tip-top. To make the process easier, invest in a great accompaniment – and you can’t go wrong with this shampoo. Although these may not be available when you pop into store or check out the offering online, it’s a good snapshot of what you can expect! Inspired to see what you can discover yourself, but don’t know where to start? 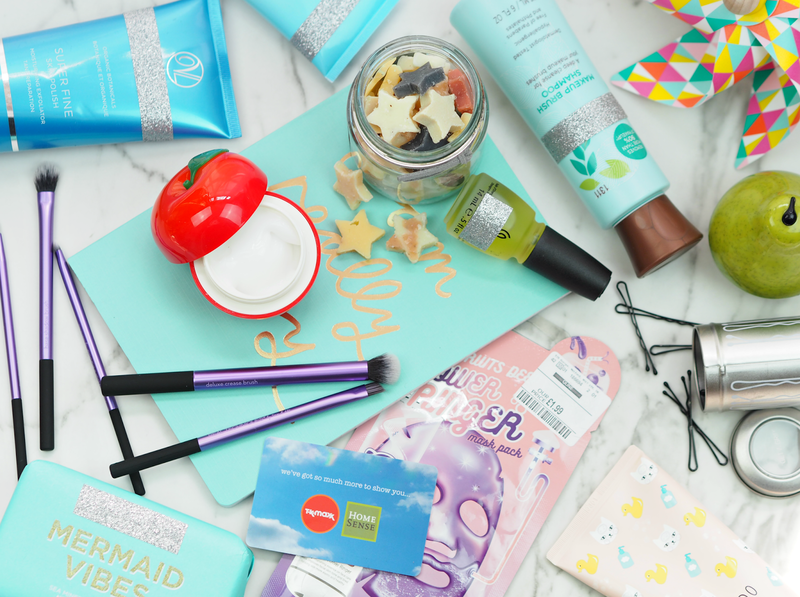 Shopping the TK Maxx beauty offering is much easier than you think – and here are my top tips to help. If you shop with a specific purpose, you’ll never come away with it! I would always recommend that you go into TK Maxx with an open mind and see what bargains you can find, rather than looking for a specific item or brand. Half of the fun is in the discovery and that rush to grab something off the shelf before someone else does! 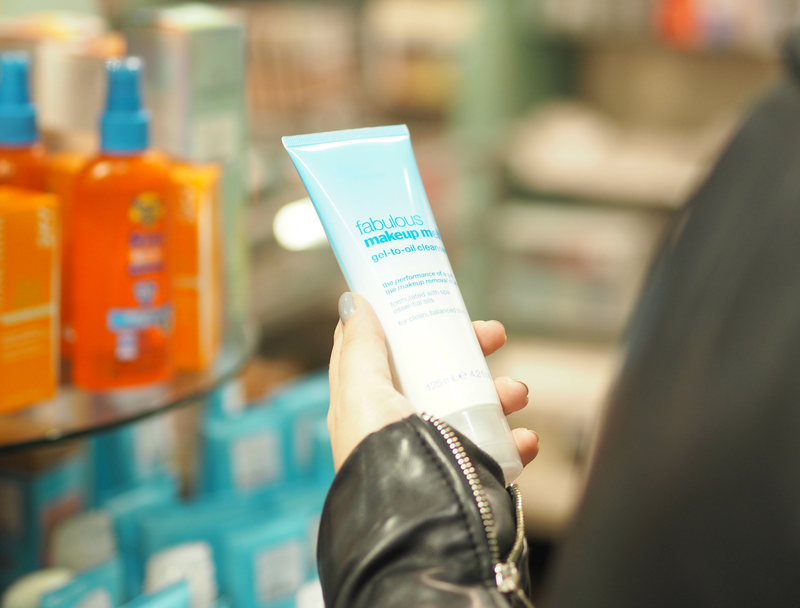 As we’re stepping towards the summer months, you know you’ll be reaching for things like SPF, fake tan, body exfoliators and colour protecting shampoos. Think about what products you’ll really use in the next three months, rather than picking up anything and everything that looks like a bargain – because if you don’t use it, it’s not really a saving is it? One of the things I love about TK Maxx is that their labels include the original RRP (as well as their discounted price) so you know how much of a bargain you’re getting; look at the original price to understand whether you need to rush to the till or put it back for another time. It’s so easy to get overwhelmed or end up spending a fortune, so give yourself a budget and stick to it. 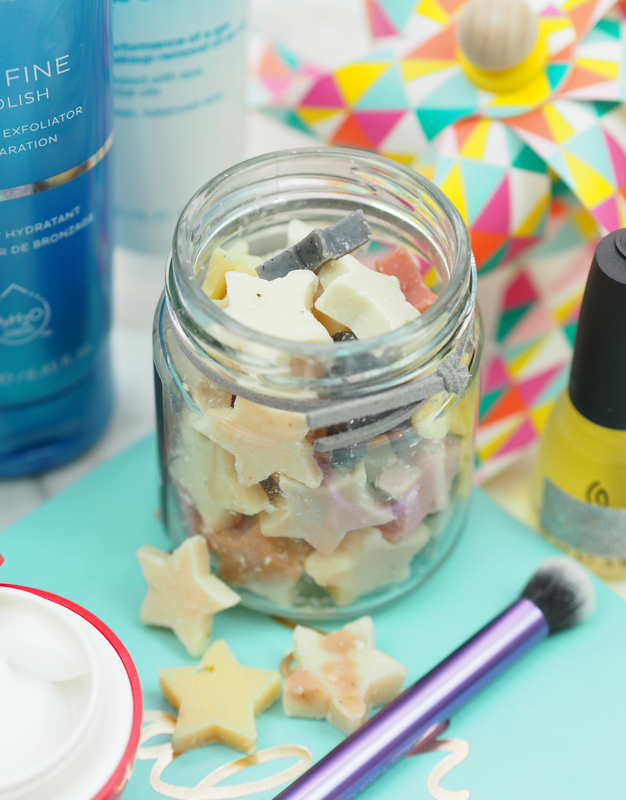 Whether it’s £10, £50 or £100, tally up your beauty pieces as you go; you’ll be surprised how far that money goes! With some gems starting at only a few pounds, you don’t have to spend a fortune either. With such a wide range of products and brands on offer, there really will be a beauty bargain for everyone – no matter your age, experience or preference. 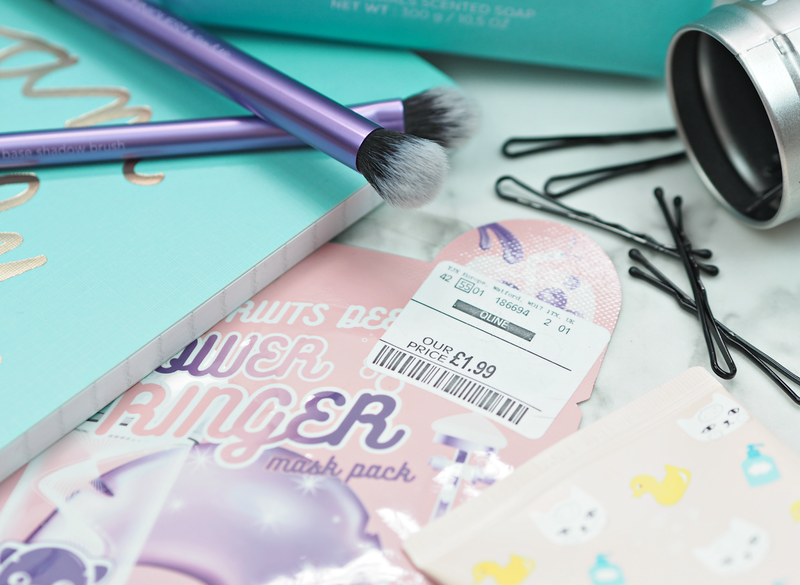 From skincare and makeup, to hair products and body treats, you’re sure to find a huge selection of bargains you simply can’t resist. TK Maxx is suited to every age bracket too, illustrated by the little promo video I filmed with two other bloggers; together we represent the 20’s, 30’s and 40’s age brackets and each found products in-store to love. Want to see how many treats you can pick up in your local store for £100? You’re in luck, because I’ve partnered with TK Maxx to give one lucky reader a £100 voucher so you can treat yourself to whatever takes your fancy – just enter via the widget below and you could be splurging your way to summer! This is a sponsored post on behalf of TK Maxx; all opinions and beauty obsession my own. I didn't either until I was asked to for this post – and it's genuinely amazing. So many of my fave brands and premium names. I went in at the weekend and they've got so many great brands and such good bargains. You could end up spending a fortune! You looked fantastic in the video, I must admit I've always bought from the beauty section at TK Maxx, I have 2 teenage daughters who are make-up mad and it's been great to pick up their Christmas stocking fillers from there. You look lovely in the video- this would be great for my daughters birthday.